Allotment of lands to 4,970 recipients by Bangalore Development Authority (BDA) continues to be dogged by controversies. 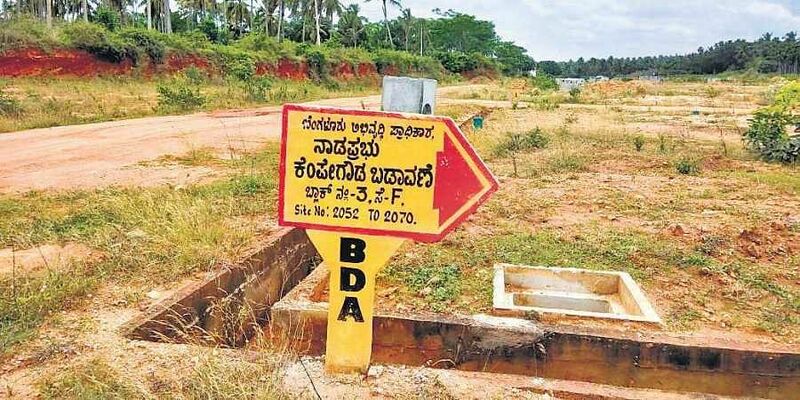 BENGALURU: Allotment of lands to 4,970 recipients by Bangalore Development Authority (BDA) continues to be dogged by controversies. The land allotment under the second phase of Nadaprabhu Kempegowda Layout project had had a contentious start, as same sites were allotted to many. Though specific numbers are yet to emerge, a considerable number of allottees are put off over being allotted sites very close to Storm Water Drains (SWD), in violation of the National Green Tribunal (NGT) norms on buffer zones. Sites under litigation for years have been allotted to some, while over 50 site holders have been allocated properties facing a graveyard. Site owners in some sectors have not been provided a map about their site thereby keeping them in the dark about their surroundings. Those affected, who have paid the initial deposit, are now having to rethink on the plots allotted and might surrender them if a reallotment is not done. Anuradha Viswanath, an administrative officer, has got a BDA site in her fourth attempt. Her 30x40 site, allotted in Sector A is located close to a huge SWD drain, she points out. “The engineer I spoke to says it is a tertiary rajakaluve and so only less distance need to be maintained. We measured it and found the width to be 22 feet and so it is definitely not a tertiary one,” she says. NGT stipulates that buffer zones to be maintained for properties from lakes, wetlands and SWDs need to be calculated from the edge of the drain and not from the centre. Surya Kiran, who is the admin of a WhatsApp group comprising Second Phase allottees, says, “In case of lakes and wetlands, 75 metres from the periphery needs to be maintained while in case of primary rajakaluve 50m, secondary rajakaluve 35m and tertiary rajakaluve 25m. Many have been complaining that their sites are very close to rajakaluves and are violative of NGT norms,” he says. BDA Commissioner Rakesh Singh will hold two meetings with allottees soon, one at Kempe Gowda site and another at BDA office 10 days immediately after the pooja season. “Siteholders with genuine grievances like sites located near stormwater drains, which might have violated NGT norms and those near graveyards or any solid reasons will be given alternative sites by BDA,” Singh said.